Perhaps never in the history of this country has so little, of such significance, been reported to so few. Perhaps never have PR hacks triumphed to the degree they have in managing the ‘spin’ on this vital highway of national significance. The recent announcement of a miscalculation of 50% in the volume of earth to moved should have raised far more media scrutiny than it did. But perhaps we’ve reached the point where accepting what they’re told is quite okay for reporters. 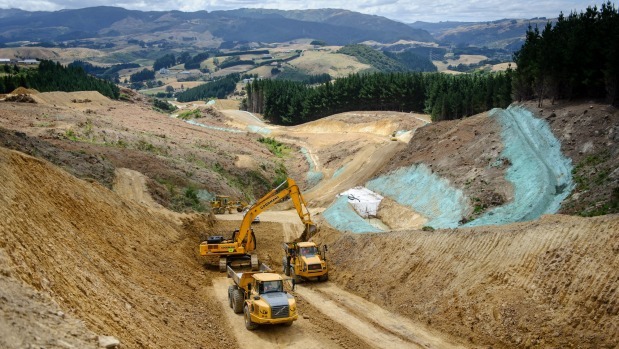 Our enquiries suggest there are degrees of accuracy in all of the following: the completion date will be mid- 2021 at best; unforeseen frustration on the part of Greater Wellington Regional Council (ridiculous Resource Consent processes) and other regulatory agencies, together with the additional earthworks costs have added $000’s of millions to the project cost; the Government’s been forced to renegotiate the contract with the Gateway Partnership; tolling the finished highway is almost inevitable. Transmission Gully becoming another toll route has implications for the existing SH1 through Porirua, Mana and Pukerua Bay to Paekakariki. That road would need to remain in NZTA’s ownership with NZTA responsible for maintenance. That’s a huge benefit to Porirua City’s already ‘gouged’ ratepayers.